The history of this street in Vitebsk began in the second half of the XIX century, after construction of the Railway Station. 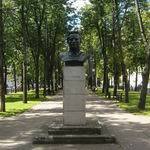 At first it was called Station Street, and received the name of revolutionary and statesman Kirov only in 1934. Of course, then it differed very much from this Kirov Street, which we get used to see now: it was rather narrow with a tram line. After the Great Patriotic War Kirov Street demanded almost complete recovery, almost all buildings, including the Railway Station, were destroyed. 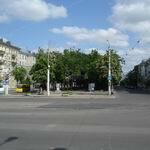 And then, in the late 1940s - early 1950s, a new life of this "front" street of the city of Vitebsk started. Under the new draft it was broadened up to 66 meters – an unprecedented case for a city of those times; a boulevard was laid out the and trees planted in the center... The building of the Railway Station, the Railway Station Square, Kirov Street and Kirovsky Bridge - all these attractions of Vitebsk united by the style and general architectural elements in the design, have now become a single composition. You can notice what tricks gave the integrity to the whole ensemble. I'll only suggest: pay attention to the height and length of the buildings, as well as on the design of their facades. Although despite of the single style, each building saves its own individual appearance! The street is not long, just 650 meters you can walk it in ten minutes, but do not rush, stay here a little longer. 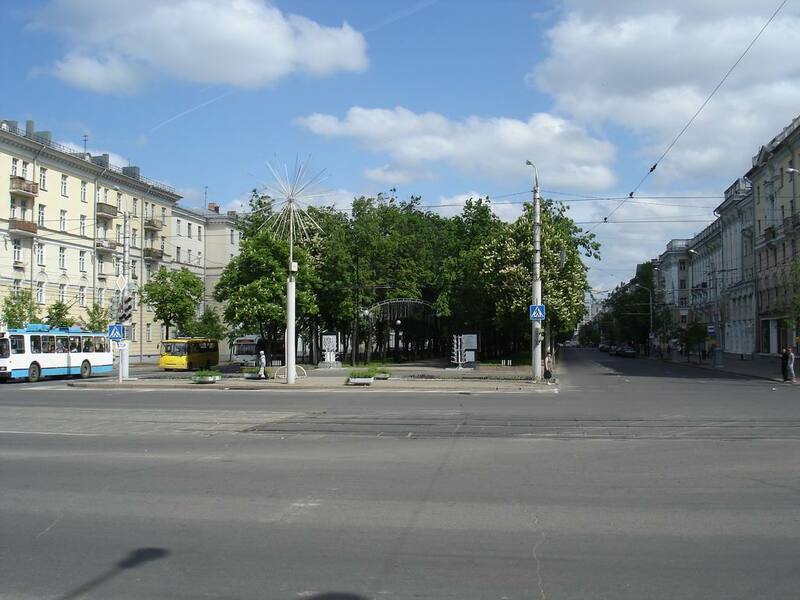 Kirov Street stands out among the other streets in Vitebsk because there is a boulevard in the center along the length. 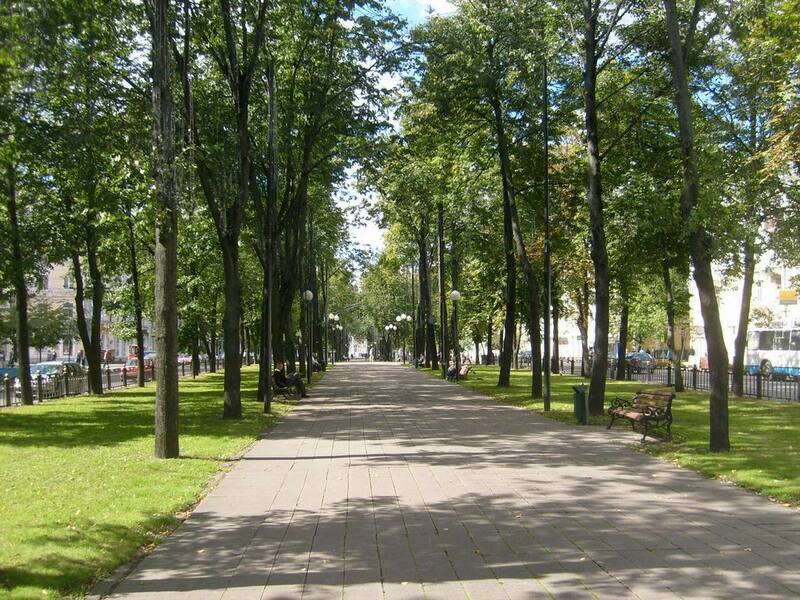 If you are tired after a weekend in Vitebsk walking around the city, here you can simply relax, sitting on a bench in the shade of chestnut and lime trees, although a little noise of cars interferes with romantic dreams. The street ends with Kirovsky Bridge over the Western Dvina, and amateurs of more "quiet" can go walking along the bank, admiring the views of Vitebsk and making "classic" pictures with the Annunciation Church on the palm. After resting in the shade of the trees, you can continue to explore the city. 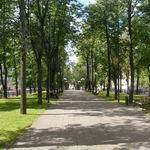 What else to see in Vitebsk within Kirov Street? Amateurs of old buildings can walk down Dimitrov Street: pre-war buildings are so colorful that the directors of the film devoted to the murder of Gauleiter Cube decided to shoot here some episodes of the movie. Very close there is Center of Folk Crafts "Zadvinye" and Marc Chagall Museum (city portal VitebskCity.by contains information about them). 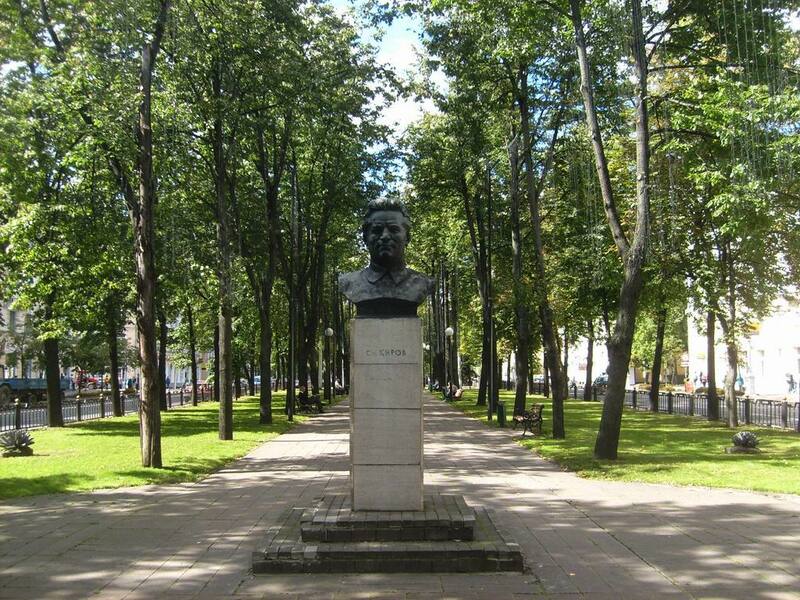 If you have time, come in, still Vitebsk is the birthplace of the great painter! You see, this street only starts your acquaintance with Vitebsk!